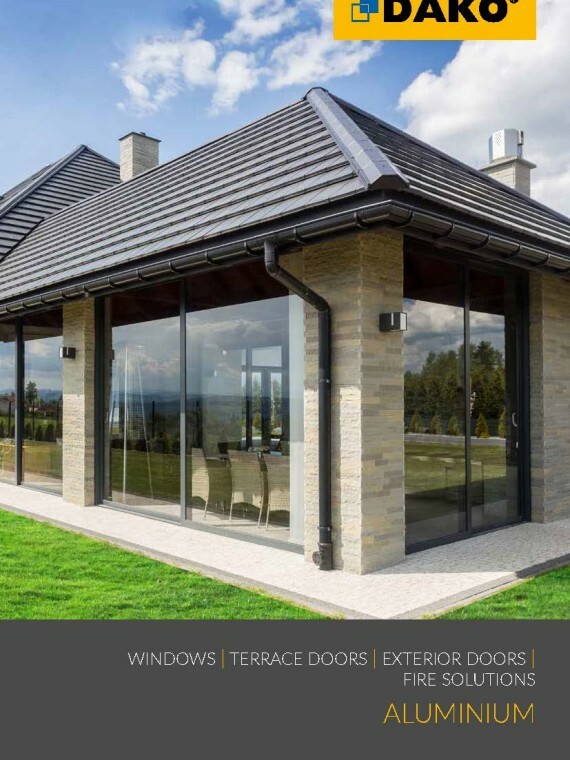 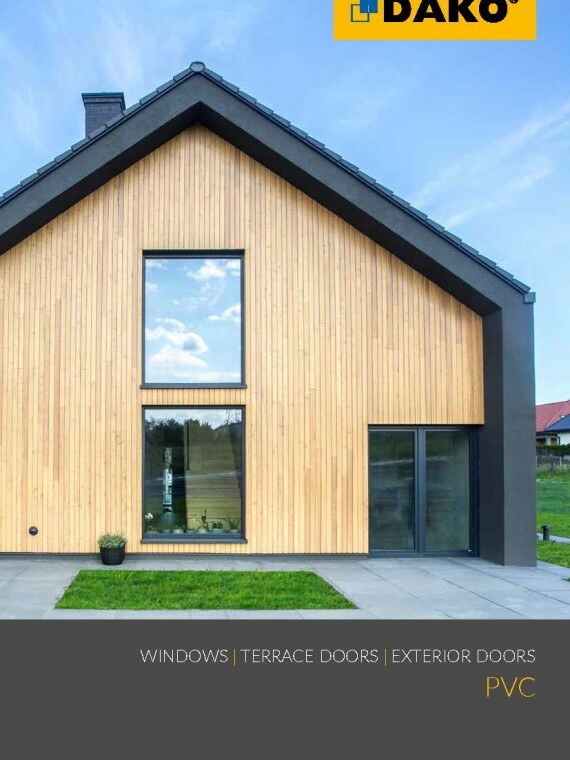 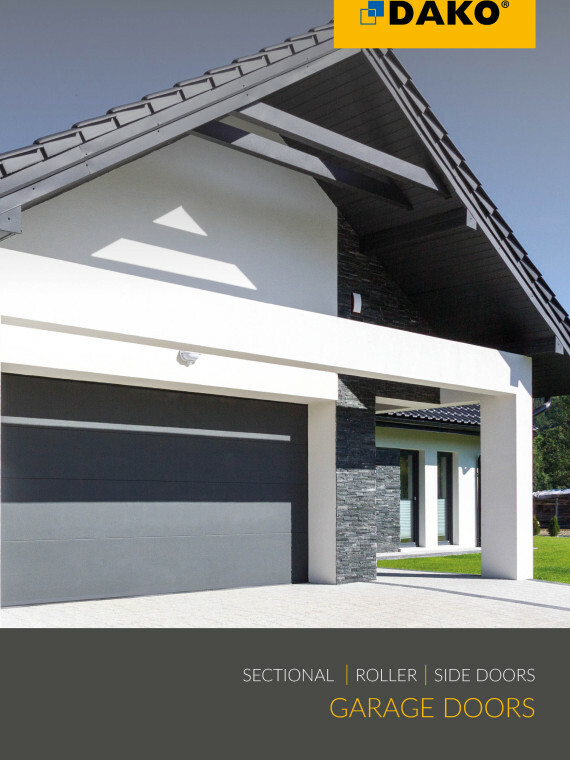 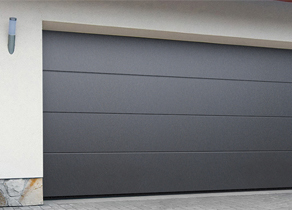 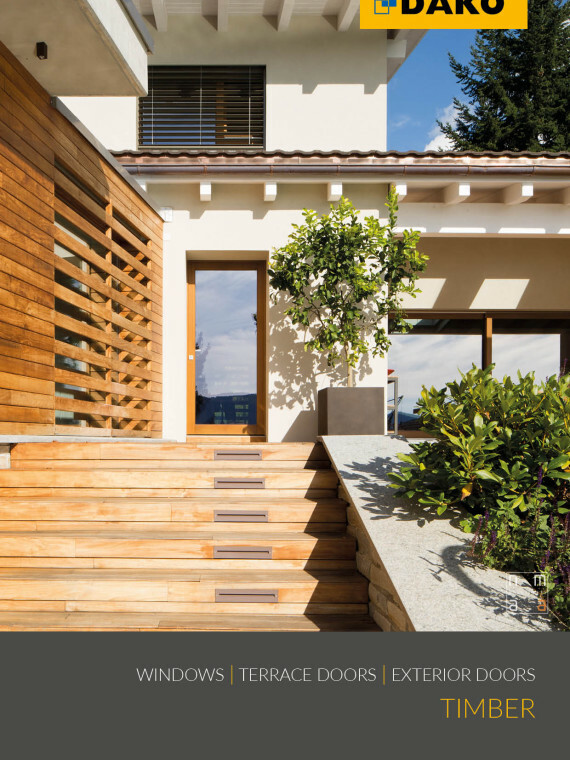 High quality, guarantee of safety and wide range of options are the most important features of DAKO garage doors offer, which is designed for companies and the industry. 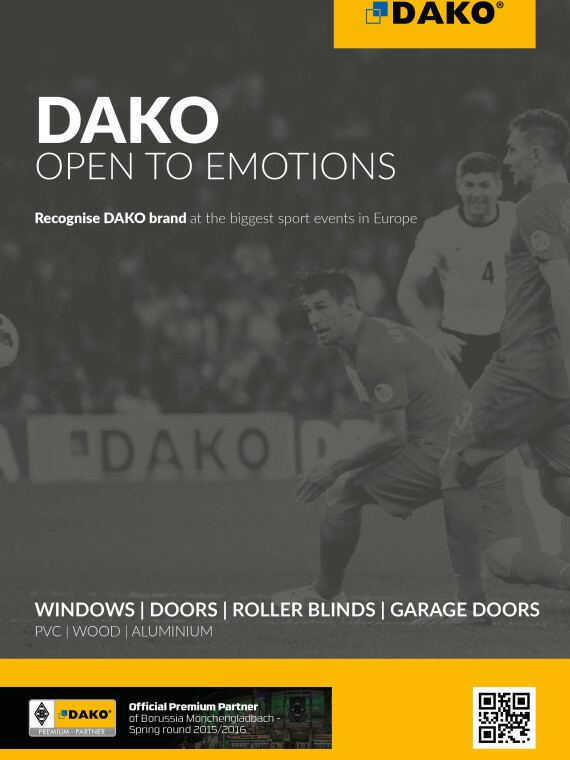 Sectional industrial doors by DAKO provide the package of solutions dedicated especially to production halls, warehouses, car workshops, commercial and service facilities. 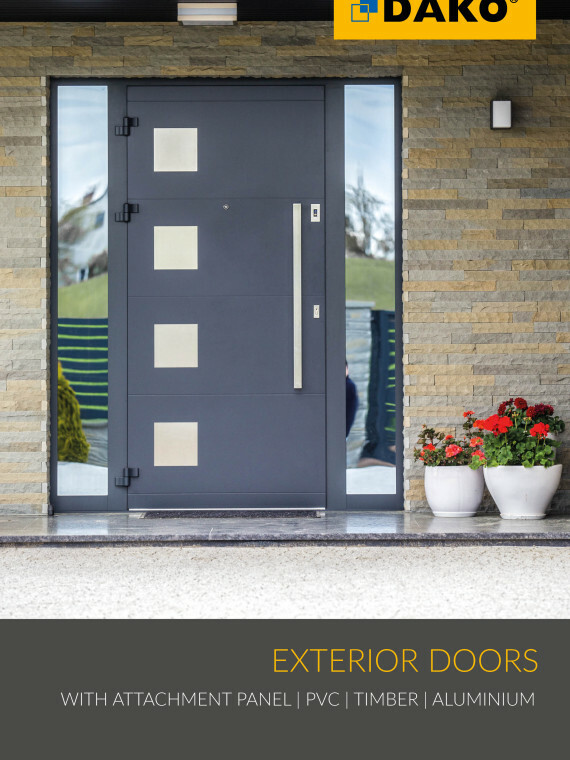 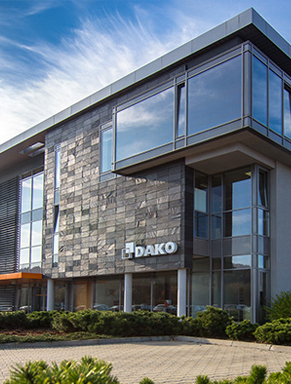 Our modern and durable industrial doors are created as a result of many years of production experience and advanced technological solutions, which guarantee failure-free operation of products branded by DAKO. 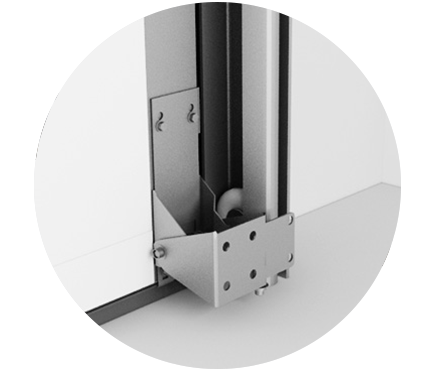 Individual selection of torsion springs for the specificity of particular solutions ensures reliable operation of doors for years. 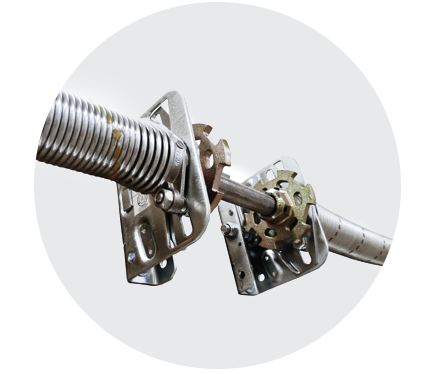 Operation of springs is normally estimated at 25,000 cycles with the possibility of change to 50,000 cycles. 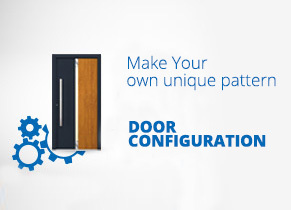 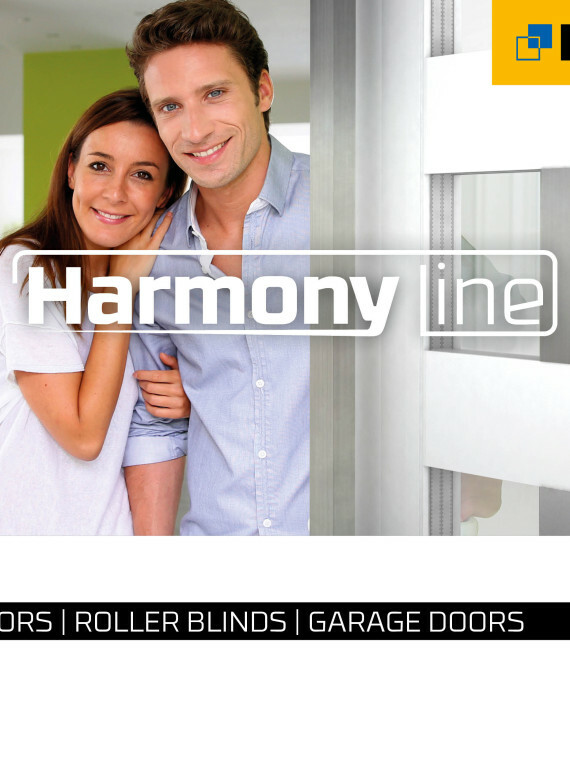 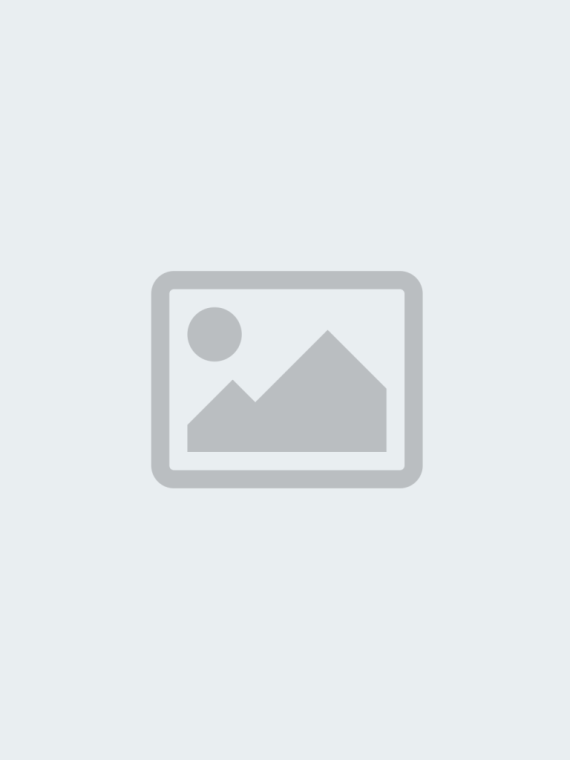 Depending on the dimensions, industrial doors are assembled using from 2 to 4 torsion springs. 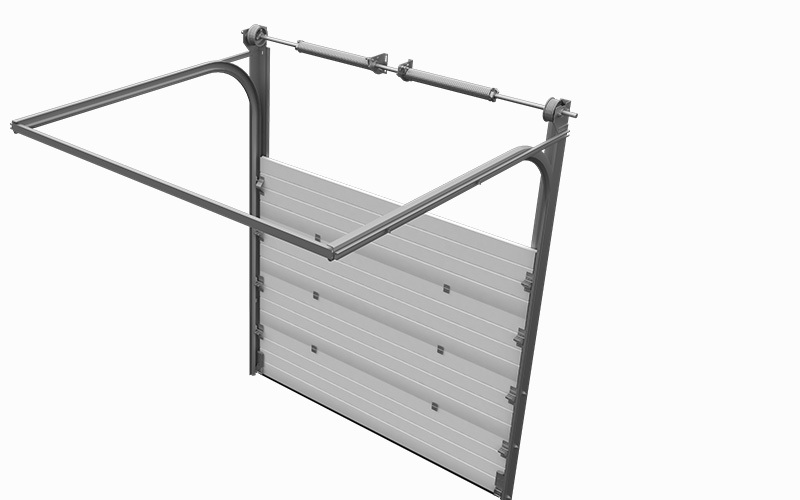 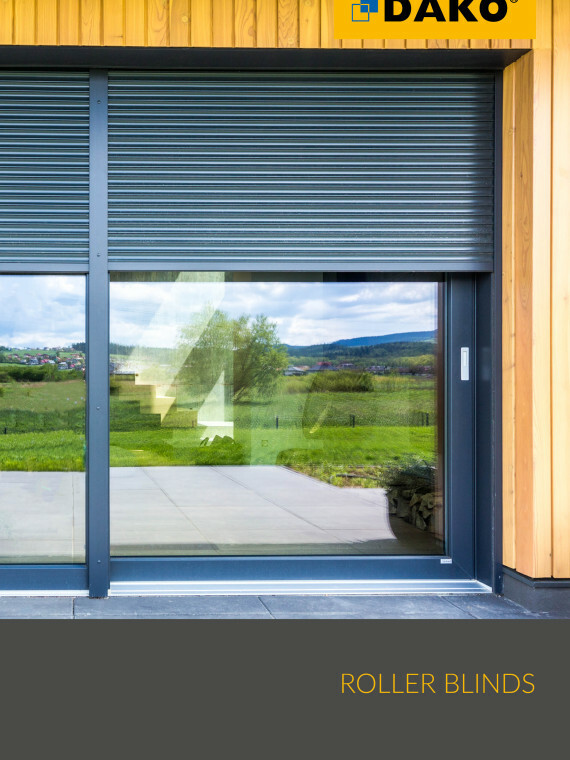 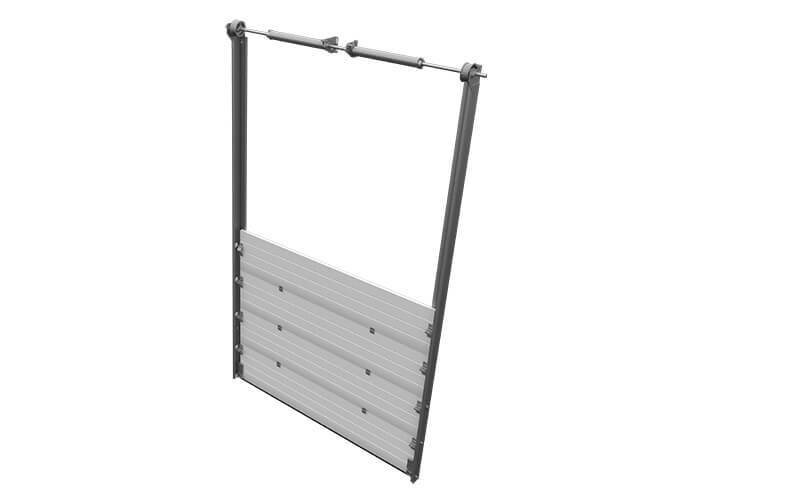 As a standard, industrial doors are equipped with mechanisms, guaranteeing stoppage of the shutter drop in the event of spring breaks or in case of damage (breaking) of the cable, which ensure user safety. 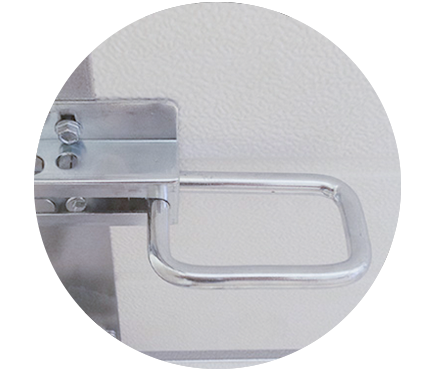 The element which enables locking the doors from the inside allows easy and trouble-free control of access to the interior of the room. 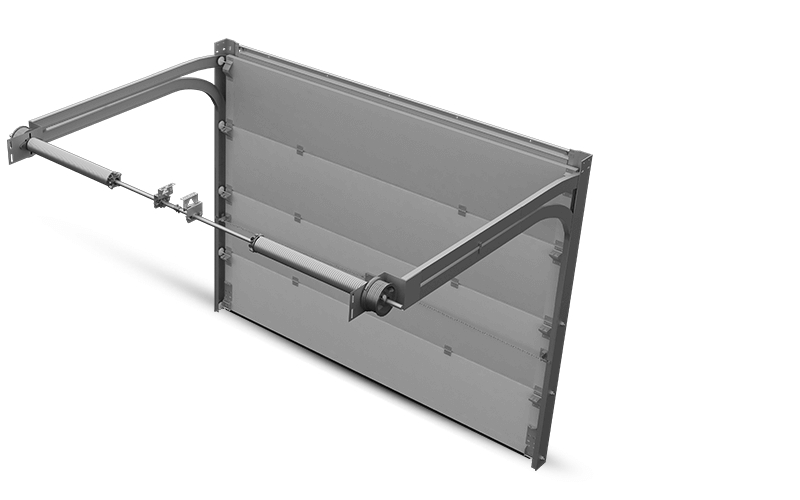 Panel with horizontal moulding, with porous surface of structure. 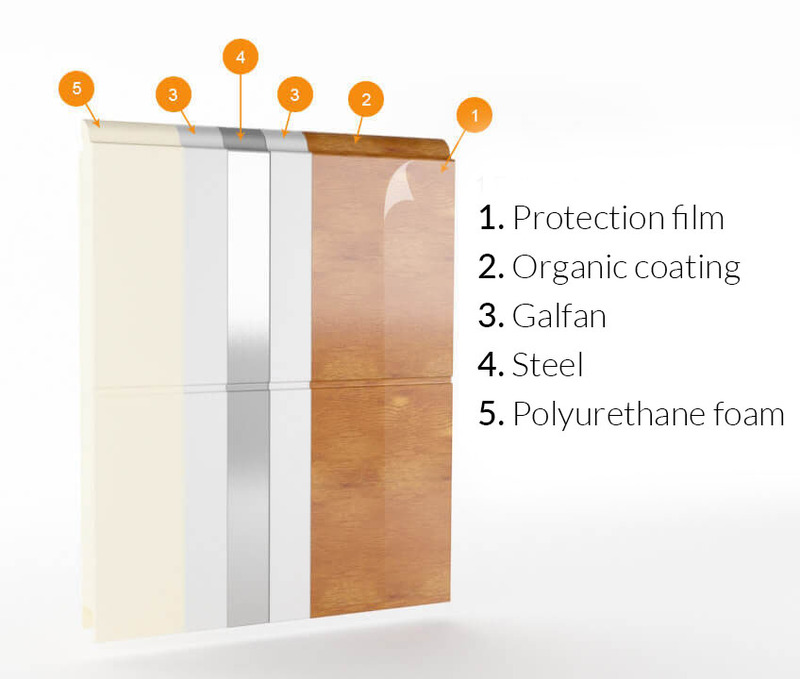 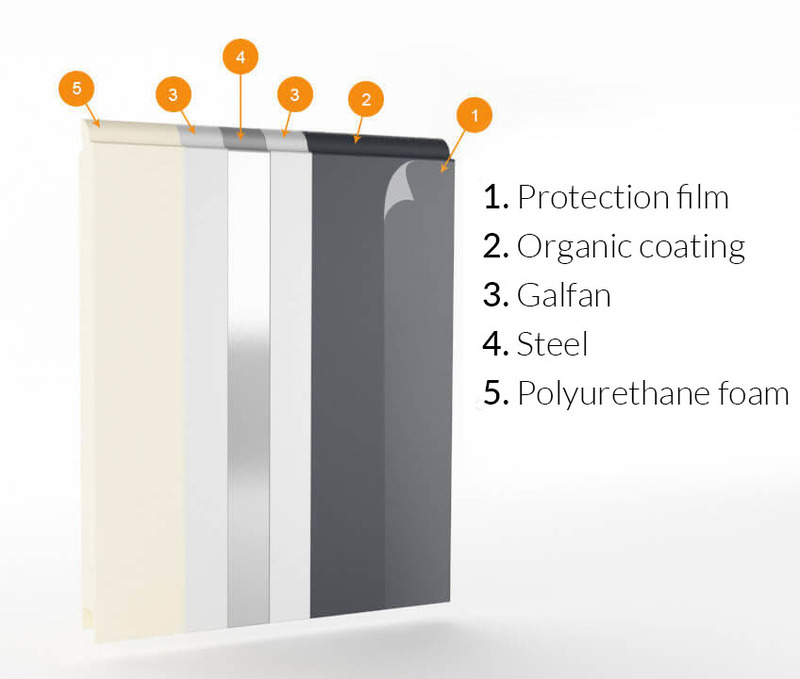 Plain panel without moulding, with plain, even surface, without structure. 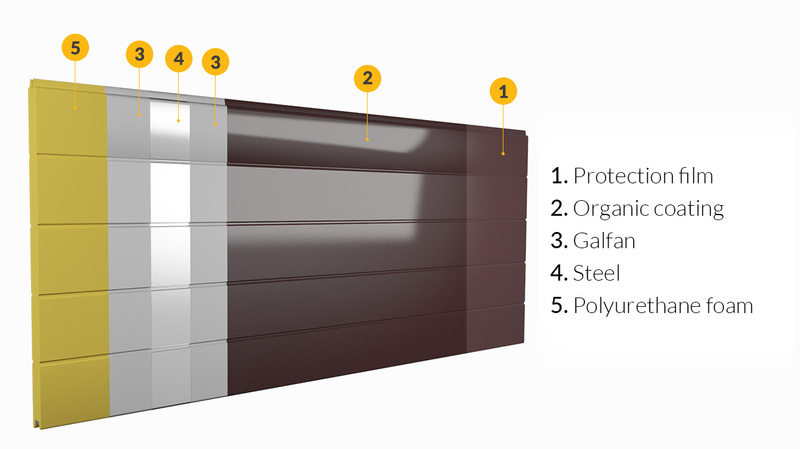 High-moulding panel with plain surface, without structure. 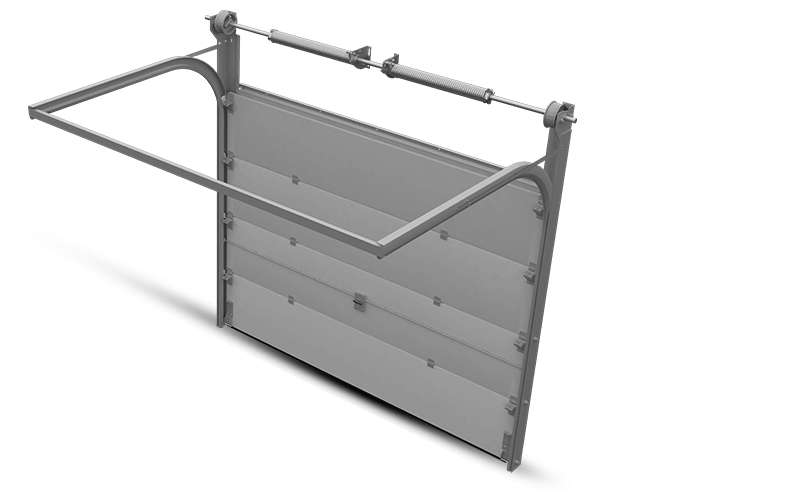 Panel with horizontal moulding, with plain surface, without structure.